The other day I sifted and sorted through my closet. I pulled out pants, blouses, sweaters, and scarves. I looked at jewelry, watches, and shoes. I coordinated outfits. I keep my wardrobe simple. My dress clothes are white, black, and gray. Finding a coordinating outfit is very easy. Here’s the problem though…my wardrobe is quite drab. I’ve had many of my winter dress clothes items for more than 5 years, perhaps 10 years in some cases. I want a change up my wardrobe. I want to purchase new apparel, shoes, and fashion accessories. While I’m by no means a fashionista, I know that I don’t want to wear the same outfits over and over again. I will need to dress nicely for several family and friends events. Christmas Day I will be at my sister’s house for instance. With the holidays almost here, I know it is time to throw caution to the wind and buy new clothes. Sears has a special offer going on right now that is perfect for me. I can purchase clothing, accessories, shoes, and even sleepwear, lingerie, and home fashions for 30% off. Now that’s a deal that is perfect for my pocketbook, especially after all my holiday shopping expenses. The Sears #MoreMerry Offer is good on clothing, intimates, sleepwear, shoes, accessories & home fashions. The Sears #MoreMerry Offer is good on regular- and sale-priced clothing, intimates, sleepwear, shoes, accessories & home fashions. 30% EXTRA off when you spend $150 or more on regular- and sale-priced clothing, accessories, lingerie, sleepwear, shoes & home fashions. 25% EXTRA off when you spend $100 – $149.99 on regular- and sale-priced clothing, accessories, lingerie, sleepwear, shoes & home fashions. 20% EXTRA off when you spend up to $99.99 on regular- and sale-priced clothing, accessories, lingerie, sleepwear, shoes & home fashions. Go to Sears.com and use Online Code: JINGLE. 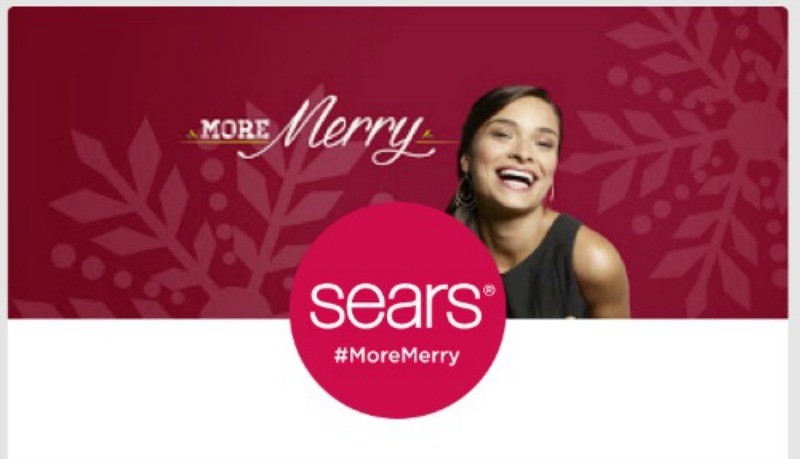 Sears #MoreMerry Offer ends 12/24/2014 11:59 p.m.
There’s still time to buy a new outfit and shoes for yourself AND finish off that last little bit of Christmas shopping. So hurry before the Sears #MoreMerry offer ends!